CELEBRATED Irish band, Westlife has pledged a two-day music blast for their Namibian fans on Friday and Saturday this week. The band has confirmed that they will perform at the ‘Huisgenoot Hart van Windhoek 2011’ Festival that will be held at the SKW Grounds. In a telephone interview with the Windhoek Observer last week, their spokesperson and band member, Shane Filan, said that because it will be the band’s first visit to Namibia, they intend it to make it memorable. “Our Namibian fans should know that we are coming next Thursday (yesterday). We are going to have a fantastic show and enjoy ourselves,” Shane said. WO: I guess this is your first time to come to Namibia? What do you know about the country and African artistic ability in general, and what are your expectations when you come here? WL: We have never been in Namibia before, so we do not know much about the country. We know that we have many fans there that we want to come and see the country. We are so excited and can’t wait to come to Namibia. WO: You are the only act in British and Irish history to have their first seven singles go straight to Number 1, and have sold over 44 million records worldwide. You could be anywhere in the world, why did you choose to come to Namibia, rather than more lucrative markets? WL: We just got the idea to come to Namibia from our promoters. We have been trying to put music tours together for our African fans. Namibia became part of our tour and we are glad to be heading to Africa. WO: Many parts of third world countries including sub-Saharan Africa are marred by conflicts and calamities. Many celebrities around the world have been contributing hugely to contain the situation. What’s your level of humanitarian advocacy and activities? WL: I know there is so much stuff going on in Africa. But we may help when it strikes. We don’t know much at the moment. But we can help whenever needed. For this tour, we just want to sing and make people happy. Through music, we make others happy and that is what we do best. 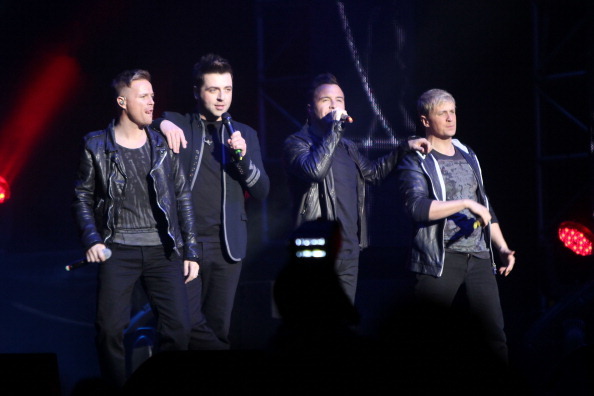 WO: When the band was formed in 1998 it had an original line-up that comprised Nicky Byrne, Kian Egan, Mark Feehily, Shane Filan and Brian McFadden (departed from the band in 2004). What are the challenges of singing in a group, and how have you managed to overcome them? WL: As a group, we are a team and we understand each other. Whenever any problem arises our understanding of one another make us solve the problem and get past it. Also, we are equal partners and everyone acts like one. We are partners in both good and bad. We have also been good friends for years. Above all, we are proud of what we do and our achievements and we have a love for music. WO: Your first big break came in 1998 when you opened for the Boyzone and Backstreet Boys’ concerts in Dublin. Music industry executives claim that you have so far failed to penetrate US market because you didn’t maximise your relationship with the then most celebrated boy bands in the US. What’s your take? WL: Yes, that was our breakthrough. But I don’t think it was the right time to involve them further. Boyzone were not big by then but Backstreet were. After the breakthrough, we dedicated most of our time and energy to places where our music was popular especially in Europe and Asia. At that time, we needed to focus on where our fan base was located. WO: In 2008, you were declared as Ireland’s ninth-richest celebrities under 30-years-old and 13th in general with 36 million Euros as a group. Yet, in 2009, you dropped to 16th richest Irish band with an estimated 8 million Euros each. Is competition in the music industry getting tougher, or is it that you are spendthrifts like many young rock stars? WL: To be honest we keep most of our issues (especially finances) private. It’s kind of obvious that we been successful but we have not been very clever with our finances. And you know, once you have money you get to help family members and friends, and take care of ourselves. WO: The band broke an unexpected record of having the first seven singles debut at the top of the UK charts, tying with The Beatles and eclipsing Elvis Presley. However, in December 2000, you failed to secure your eighth chart-topper in a row in the UK and Ireland, and the band has no serious success stories since then. What’s the future according to Westlife? WL: Yes, since then we have had never had a major hit. But let’s not forget the amazing success in the music industry. We have been trying to change to keep up with the trend in music. Will still deliver and we are trying to get there.